I wear this kimono (HERE) so many times, and it always surprises me how it's good for every occasion, even if it's more casual or more formal. 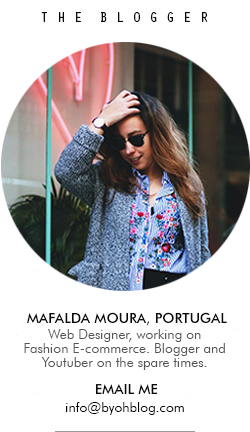 This time, it was perfect for the last day of Lisbon Fashion Week. 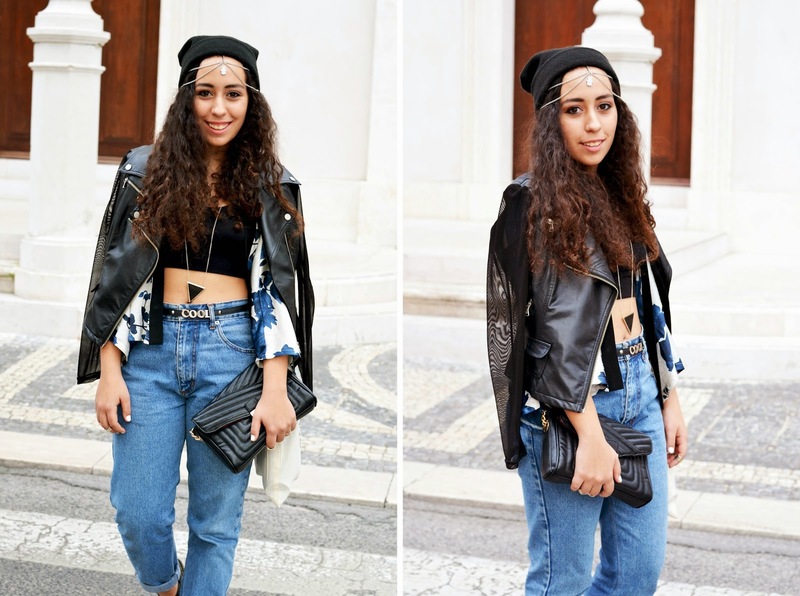 Wore it with these vintage jeans for a more edgier look. I loved the fashion shows this day, as you might have seen on my last post. As much as I'm loving the nice weather that is feeling here. I just feel like being out and I don't even mind that much to wake up in the morning! Wish you all a lovely weekend! I love all of your looks, you're so daring but at the same time your outfits always look put together. Como sempre linda, De onde é o colar? Os sapatos são lindos lindos lindos! Really nice look ! Love the jewels ! Really love the mixture and the little details, love the shoes and hair piece!! Can I just say I love the whole outfit but I fell in love with that headpiece you had on. It looks amazing on you. Great post. Hope you could check out my blog. I'm giving my readers 20% off their purchase from Otaki Clothing. Wow such a cool look! I like your blog. Maybe you can visit my blog and follow me on gfc and bloglovin. Não sendo este o meu estilo, confesso gostar de ver pessoas que arriscam em looks!